There are so many choices today for coffee drinkers. The popularity of coffee drinks such as cappuccinos, lattes, espressos, and Americanos offer variety the American coffee did not have available 40 years ago. 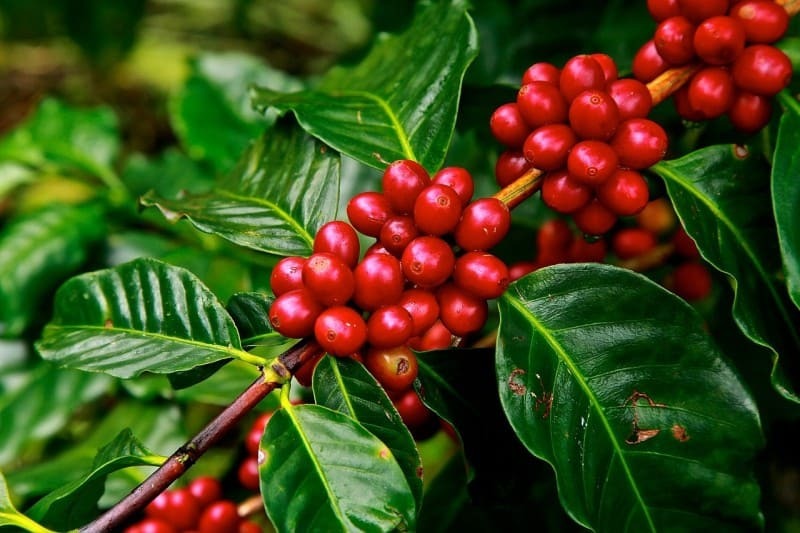 The legend of coffee is that an Ethiopian goat farmer noticed his goats jumping around and dancing energetically after eating some bright red berries from a bush. The farmer tried some of the berries, and found he had more energy. The bright red berries were coffee berries. $6 billion was spent on coffee brewers, creamer, sugar, and paper cups. Coffee berries are a sour fruit surrounding a seed. The seeds are called coffee beans. 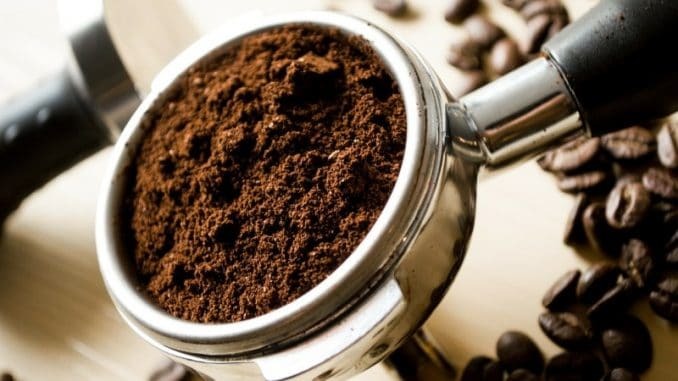 Coffee beans were ground and mixed with fat to make a very efficient form of portable energy, though the taste must have been memorable to say the least. Gritty green coffee beans and sour-bitter coffee cherry fruit wrapped in quickly growing rancid animal fat. The combination of caffeine and fat, which is an abundant source of energy, would have worked. We can speculate what happened next. Maybe someone dropped some of the beans in a fire. They smelled the delicious aroma of the first roasted coffee, and dug them out of the fire. The next step was grinding the roasted beans, and immersing them in hot water. Thus the beverage we know so well was born. I started drinking coffee in the 80’s. In the early 80’s, if you wanted to buy a cup of coffee, you had it at a restaurant after dinner, or in a diner. As I remember, it was hot. And light brown. It was a given that a generous amount of milk and sugar was added. Some people drank it black. It was your morning medicine, to launch you into the day. You didn’t enjoy it. It was typically bitter and sour, or tasted of ashes, and you grimaced when you sipped it. Ugh or Arrg were typical noises which accompanied the coffee. It was considered a mark of manhood and fortitude to drink the worst coffee. People bragged about how bad the coffee was at a given diner, or how awful their coffee was. Battery acid, mud, ditchwater or swill was how it was usually described. If you were a teenager on hunting or fishing trip, or at work, it was a manly rite of passage to drink coffee with the men when you were 15 or 16. Stewart’s Ice cream shop started taking things farther with their pioneering business model. They offered brewed pots of drip coffee sitting on warm burners. The decaff pot had an orange rim. You could go into a Stewart’s and get a paper cup (or Styrofoam, I think that came later). You poured your own cup, and added the desired amount of cream and sugar all by yourself. Such quality control and choices were revolutionary at the time. The best part was the lid. There was a plastic lid for the cup. You would bite one corner of the lid, and tear a slot in it, then replace it on the cup. Now you had a little opening to sip your coffee, without sloshing it all over the place as you were driving. Soon, Stewart’s caught on to this trick, and started offering lids with a perforation. How I wish I had just one of those as a souvenir. Now you could tear along the perforation. 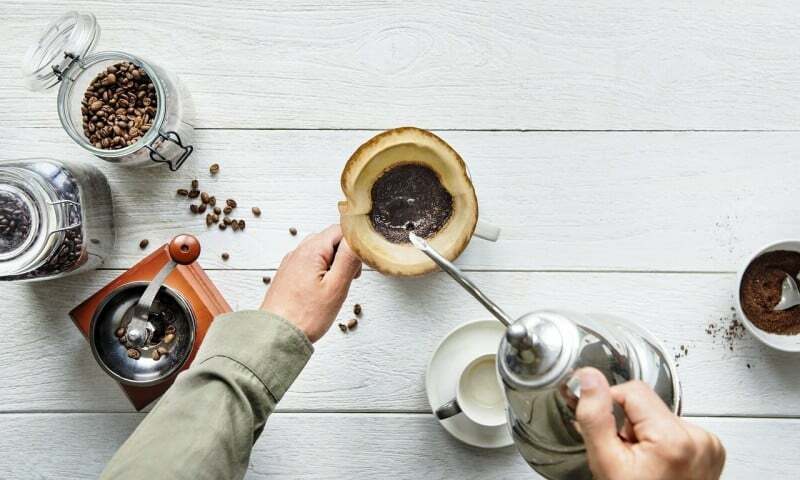 This evolved into the much more clever and complex coffee lids we know today, which a small pour hole or a tab you can pull back and anchor on the lid. 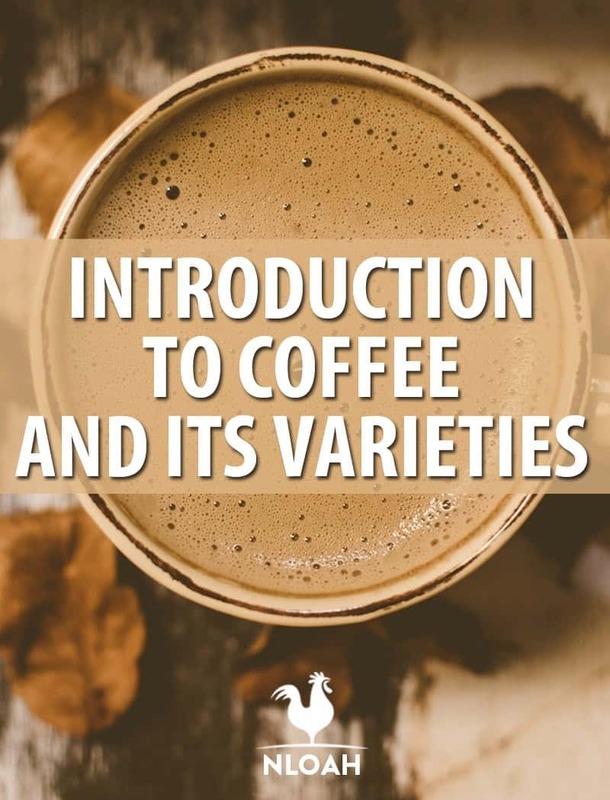 Today, we have a variety of complex coffees complete with different names, with the sources of the beans and the complex nuances of flavors identified. There are blends, Single origin, and flavors. Single origin coffee is coffee from one bean type. Blends are from multiple beans, and flavored coffee has extra flavorings added to complement the taste of the coffee. I also like to buy several types so beans and make my own blends. French: sweet, smoky aroma, anise, vanilla, and dark chocolate taste. Very smooth and very nice. Italian: toast and honey aroma, and cocoa and molasses taste. Also very good. Colombian: lemon, brown sugar, and milk chocolate tastes. I find Colombian to be a little too acidic to my taste, but you may like. Many people do. Sumatra: My long-time favorite. It is smoky, earthy, and smooth. So good. Brazil Yellow bourbon: this may become my new favorite. The flavor is milk chocolate and vanilla with a little cedar. It is low acid and relatively sweet tasting. Vanilla: sweet mild vanilla taste and aroma. When you brew this coffee, you get a sugar cookie smell permeating the air. Black forest: subtle dark chocolate and cherry flavors, with an earthy and smoky background. Maple: sweet and smoky. I like to combine vanilla and maple beans. • Percolation. Hot water is splashed over the coffee grounds. This tends to produce a rough coffee, as the coffee infused water will splash over the grounds as the coffee perks. • Drip. The hot water runs through the coffee once, which tends to make a better cup. • Infusion with a coffee bag or strainer. This method is similar to making tea. I noted this method for making cold brew, but it can also be used to make hot coffee. • Coffee strainer aka faux French press. Use clothespins, paper clamps, paperclips, or a rubber band to hold a paper towel in place in a mug or cup. Place the coffee in the paper filter, and pour water through and let it soak in. • Instant. A lot of serious coffee drinkers will disdain instant coffee. But I like it as a flavoring in baking, or for some coffee drinks. I have found powdered espresso to produce a good beverage. • Cowboy coffee aka boiled coffee. Boil water in a pot. Throw in coffee. Turn off the heat. Let the grounds settle to the bottom and pour it off, or strain it. Expect a few grounds. Actually, expect a lot of grounds. There are foods that were just made to go with coffee. Coffee beans contain the well-known drug caffeine, also known as 1, 3, 7, trymethylxanthine. Caffeine is a mild central nervous system stimulant. About 100 mg, the average amount in eight ounces of coffee will give you about three to six hours of increased alertness, and energy. If you work out or do hard physical work, caffeine will make you a little stronger, increasing the power of your muscle contractions. Technically, the short answer is yes. It is physiologically addictive to a degree, and psychologically addictive to a slight degree. It does not stimulate the nucleus accumbens, the pleasure center of the brain, intensely enough to produce compulsive use. The nucleus accumbens is part of the brain’s reward system, in which the brain chemical dopamine works. The three main features of addiction are tolerance, withdrawal, and compulsive use despite consequences directly attributed to use of the substance. The caffeine is coffee will produce tolerance. You will need increasing amounts of caffeine to get the desired effect. There is also a withdrawal syndrome associated with caffeine. More about that down further. Coffee is rewarding. It smells good, and is typically served warm, so it is comforting on a cold day. It is an adult beverage deeply rooted in American culture, and frequently associated with many good memories. All of these features make coffee rewarding. Caffeine will give the nucleus accumbens a nice red glow, vs the white-hot burn of stronger stimulants like cocaine, or the total meltdown of methamphetamine. Coffee will not cause your life to become unmanageable as you make it the center of your life to the exclusion of your adult responsibilities. However once your brain adapts to the anticipated, regular presence of caffeine molecules, there will be a reaction when you stop. 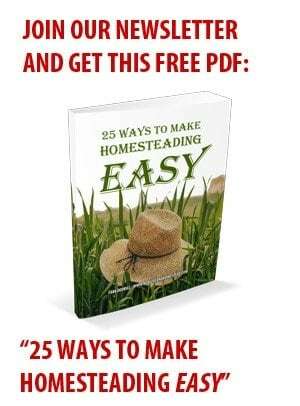 You will feel tired and get splitting headaches. This may take a few days to resolve. The way to avoid it is to titrate, or gradually reduce your caffeine intake over a period of a week or so. Yes, but it would take a lot, consumed in a short period of time. In order to get a fatal overdose of caffeine, an adult would have to consume about two and a half gallons of coffee in about three hours or less. You could also get a fatal overdose of caffeine by consuming about 500 lbs. of dark chocolate in three hours or so. This would not be physically possible. The most realistic way that someone would overdose on caffeine would be by excessive use of caffeine tablets. Antioxidants are beneficial chemical compounds that prevent cellular damage from environmental pollutants, (too many of those around) radiation, (from the sun and the ground) or the aging process (inevitable but you don’t have to rush it either). Coffee is loaded with antioxidants. Quinine, the same substance that flavors tonic water, and prevent malaria is also an antioxidant in coffee. Caffeine itself is an antioxidant. Coffee drinking has more health benefits than detrimental health effects. The largest benefit appeared to be associated with drinking 18 to 24 oz. of coffee a day. Drinking more did not appear to yield any further benefits, but neither did it cause harm. Coffee had the strongest hepatic-protective effects, meaning it protects against liver diseases. A 2017 meta-analysis revealed that coffee has cardio-protective effects. A more recent study in mice showed how those cardio-protective effects take place, by both strengthening the heart, and repairing damage that has already been done. Enjoy coffee. It is a great time for coffee lovers as there are so many options and choices available. It is a beverage that brings people together, or can be savored in solitude, is invigorating and energizing, yet comforting and soothing at the same time.